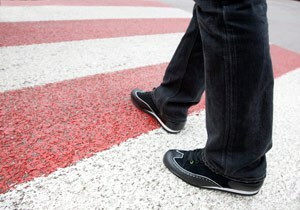 Although anyone can be hit by a car, pedestrian accidents often happen to the most vulnerable. A child on the way home from school may be hit by a car. An elderly person may be struck while trying to cross a busy road. Even at low speeds, the impact of thousands of pounds of metal may cause catastrophic injuries or death for a pedestrian. Have you or a loved one been hit by a distracted, drunk or negligent driver? At the law offices of Goldberg Weisman Cairo, our highly trained legal team has the experience, resources and unmatched client service to help you recover. We are here to help you find justice and pursue the compensation you need to cover your expenses after the serious injuries that result from a pedestrian accident. To learn more about our services, call us today at 1-312-464-1234 or reach us online 24 hours a day, 7 days a week via our “Live Chat”. In many cases, the result of a pedestrian accident is not simply putting the victim’s arm in a cast and sending him or her home from the hospital. The impact from a bumper and hood hitting a person’s legs and hips can cause broken bones. If the vehicle is traveling fast enough, the pedestrian may be thrown, causing head injuries or internal injuries. Amputation may be required if injuries to limbs are severe enough. The most serious pedestrian accidents result in death. Often, these accidents happen because a driver was drunk, speeding or distracted. In some cases, improperly maintained sidewalks or roads are to blame. Whatever the cause of the accident, an injured pedestrian needs full compensation to cover the costs of medical care and extensive rehabilitation, lost wages and other damages. At GWC, our lawyers have more than 30 years’ experience and resources you need for these complex claims. During three decades in practice, we have become a large law firm with a network of experienced and highly skilled professionals who can root out the cause of the accident and help you hold the negligent motorist accountable. If you have suffered serious injuries or lost a loved one in a pedestrian accident, let GWC show you what a law firm with our size and resources can do. Schedule your free, no-obligation consultation today, before evidence is lost and witnesses’ memories fade. Early and aggressive action can help protect your rights and strengthen your claim.